Although the Club was founded as a surfing club to provide dressing room facilities for men and boys who had no easy access to the good surfing areas of Waikiki, it grew into the Club you see today which espouses not only surfing, but a dozen other sports, social activities, historical programs, dining facilities and the world's most spectacular sunsets! From our beach, Hau Terrace and Dining Room Lanai, you can see all of Waikiki Beach and its famous hotels. Diamond Head looms majestically above the Club. Online Registration is open for the 2019 Outrigger Canoe Club Diane Stowell Invitational Swim. Click here to register. The Club is open to members and their guests only and not the general public. 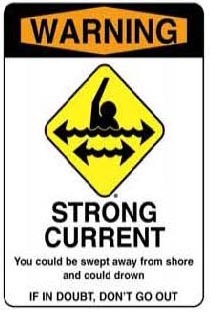 Be safe in the ocean. 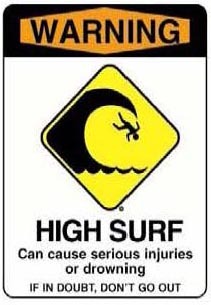 Watch for hazard signs including large surf, dangerous currents, and jellyfish.